To the gentlemen of the world: I can only imagine how difficult it is to create a style that expresses your individuality while simultaneously asserting your masculinity. While I’m sure many men believe they’re dressing themselves up to par, many of those same men have got to take another look in the mirror. I’ve seen fashion don’ts time after time on good-looking men, and it’s heartbreaking. I, on behalf of my fellow ladies, would like to let you in on a few wardrobe choices that need to end. Most women can appreciate a good graphic tee—maybe a good band tee or a fun, original design; however, no girl ever has said “… then he came up to me in his Female Booby Inspector shirt, and I was just taken by him.” To the boys in the audience, take note: DO NOT EVER wear a shirt like that on a date. You will be highly disappointed with the outcome. While your personality may speak volumes for you, that shirt will be the brick wall between what she thinks of you and what you’re doing. Get those lame shirts out of your wardrobe. Athletes may get away with wearing socks and slippers after a game, but you should never put together an outfit that includes the aforementioned eyesore. Your date could involve playing basketball together, but this is still not acceptable. Your ensemble says a lot about where you are in life and where you want to go. This look says, “I live in my mom’s basement with 7 cats.” Take a few extra minutes picking out what you wear so that we look your way. 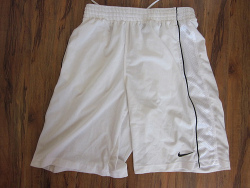 Unless you’re going to the courts, these should not be worn out of the house. Wearing basketball shorts expresses an image of laziness. Ladies aren't into guys who don't take care of themselves. The reality is that you could have easily substituted your silky shorts for a pair of jeans. Bottom line, basketball shorts are just not cute. Before you go out and buy a pair, grow a pair. I understand that skinny jeans have come back into our fashion, but nobody should have a first row ticket to the family jewels. 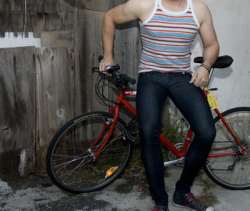 Too-skinny jeans are just not flattering on men. A slim fit gives the ladies an impression of what they’re working with, but leaves most of it to imagination. No one wants to see all of your man business. Boot-cut, slim fit, or just the regular skinny are all better choices. What are some other styles that should be laid to rest? Comment below!